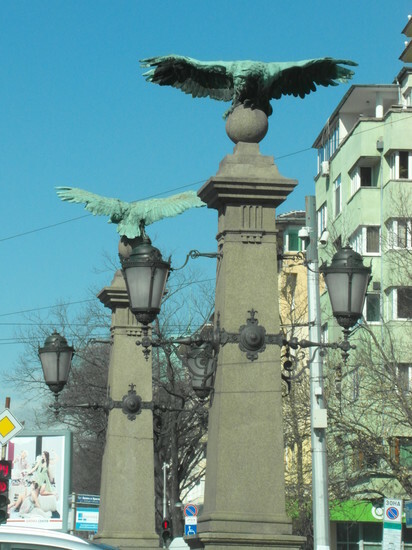 Built in 1891, across the Perlovska River, according to a project by Kolar & Proshek, the stone bridge flanked by four bronze eagles atop four granite columns was seen to mark the entrance to the city and the start of a new era. 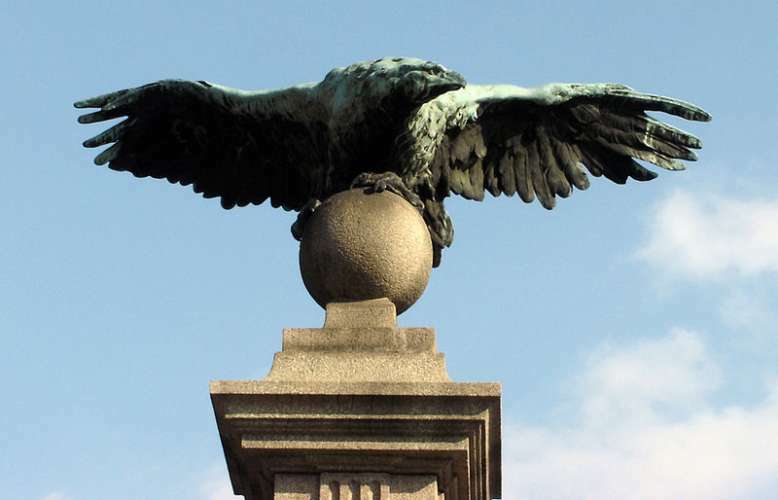 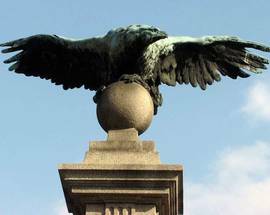 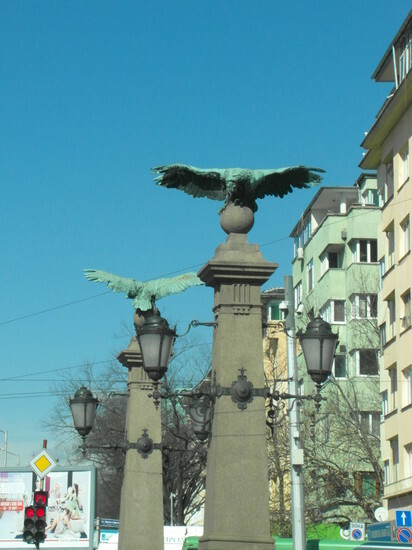 The chosen site marked the place where Sofianites welcomed back the revolutionaries in 1878, and the eagles were seen as a symbol of freedom. 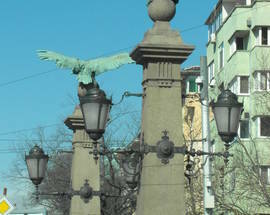 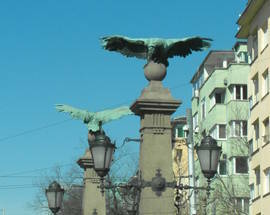 Nowadays, Eagles' Bridge marks the entrance to Borissova Gradina park and is one of the points at which one can enter the Sofia University metro station.